The Pakistan Police on Saturday arrested three suspects in connection with the 2 January Pathankot terror attack, reports The Indian Express. The men have been sent to a six-day police remand by an anti-terrorism court. Khalid Mahmood, Irshadul Haque and Muhammad Shoaib went before an anti-terrorism court in Gujanwala district on Saturday and were handed over to the Counter-Terrorism Department, said a Pakistani newspaper. The three men denied the charges and were shifted to an undisclosed location for investigation. The Pakistani newspaper reports that they might have been arrested before Pakistan filed an FIR against unknown persons in the Pathankot case, after which investigations produced enough evidence to proceed against them in the court of law. 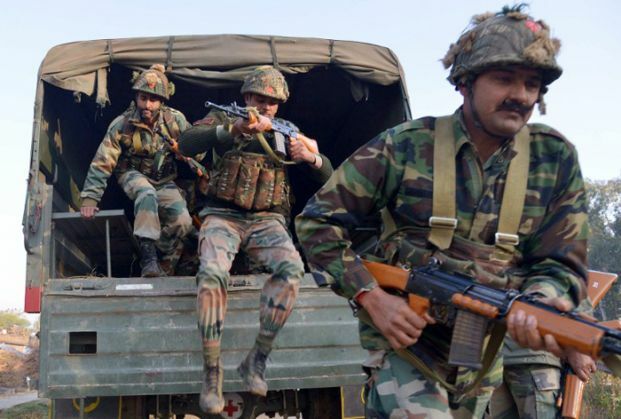 On the night of 2 January, attackers suspected to be from Pakistani terror group Jaish-e-Mohammed entered India and stormed the Indian Air Force base at Pathankot. Seven security personnel were killed in the subsequent battle.